Until I got a copy of this review CD, I’d never even heard of this stoner / metal band. 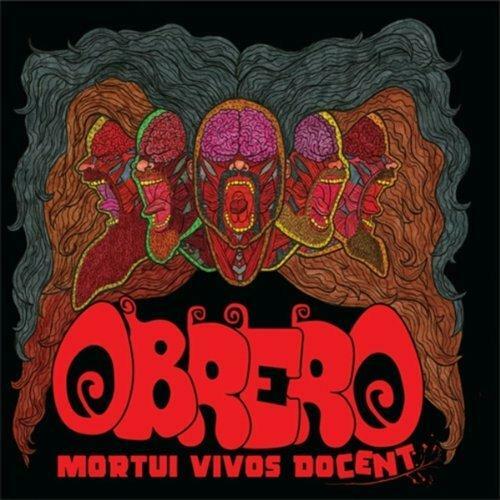 Obrero is from Stockholm, Sweden and Mortui Vivos Docent is their first CD. Nonetheless, the band’s moniker is Spanish for ‘Worker’ and the disc’s title comes from a Latin phrase. Go figure. Total of eight well-played and well-produced tracks of good heavy stoner rock and roll to check out here. Personally, I liked the album’s opener, The Wolf’s Hook (which sort of reminds me of old school W.A.S.P. ), The Fourth Earl, Octman, the head-riveting Charles The Hammer (hmm, the title fits) and The Lost World the best. This particular style of heavy metal / hard rock may not be exactly new and some negative-minded patrons may say that it’s outdated or even stale – but I have to admit that each song on Mortui Vivos Docent manages to not only carry their own but holds up rather quite well. Their bio mentions a ten track demo the band had recorded a couple of years ago – I wouldn’t mind hearing that demo – since I occasionally find myself seeking out a band’s unreleased work. Obrero’s influences are that of Black Sabbath, Pentagram among several ’70’s doom / heavy rock collectives. Line-up: Martin Missy (formerly of Protector) – vocals, Mathias Ojermark and Fredrik Lundquist – guitars, Magnus Karkea – bass and Calle Sjostrom (formerly of Talion and Unchaste) – drums. Fans of say – Saint Vitus, Orange Goblin, Sleep, Big Elf, Electric Wizard, Kyuss and possibly Spiritual Beggars should get a lot out of this CD. Do turn this one up! !